London’s first ever all electric fleet of black taxis is launched to on the streets of the capital from today. The fleet of 150 vehicles will be delivered via the Sherbet RIDE app, allowing Londoners access to the first taxi app that will allow them to pick from a fleet of exclusively electric vehicles. Sherbet RIDE is launched to provide Londoners with a premium black taxi service that minimises the user’s environmental impact. 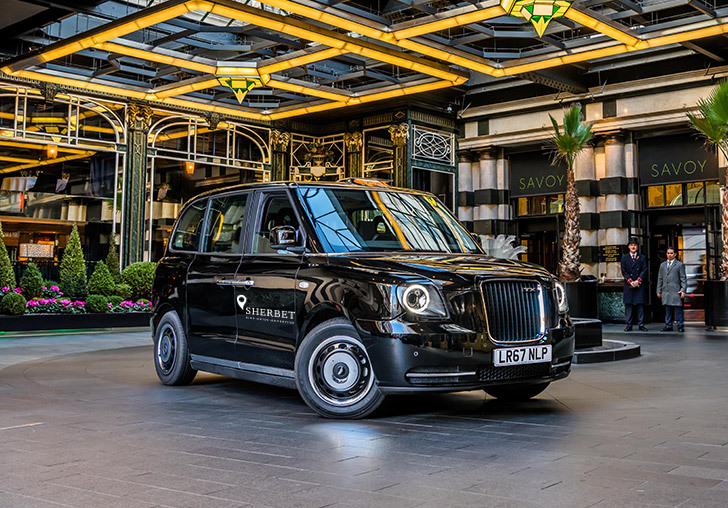 The black taxi industry is still worth £1.4bn to the London economy and Sherbet RIDE aims to bring the best of the London black taxi industry’s heritage to the modern day. This will be achieved through stringent driver training and incentivisation and the innovative use of technology to maximise passenger experience minimise environmental impact. From April 2019, Transport for London will introduce the Ultra Low Emissions Zone (ULEZ) in Central London in an attempt to reduced congestion and pollution in the capital. Vehicles entering the ULEZ will have to be compliant with new exhaust emission standards or they will need to pay a daily charge to enter the area. The service is the brainchild of Asher Moses, a man with unparalleled pedigree in the London black taxi industry. Asher believes that by pre-empting the introduction of the ULEZ, Sherbet and the London black taxi industry at large, can reclaim the prized Zone 1 battleground in the face of competition from the likes of Uber & Hailo. The pricing models of market entrants such as Uber commoditised the Central London market and started a price war that ultimately damaged the industry. 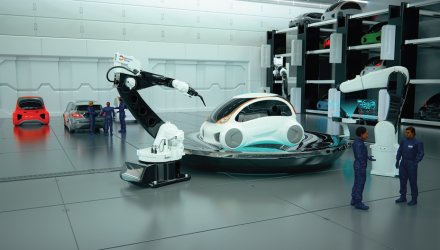 Asher hopes that proactively launching Sherbet RIDE ahead of the introduction of the ULEZ will enable the black taxi industry to compete more competitively and fill the black taxi vacuum that has emerged in Zone 1. As well as running Sherbet London, Asher is a licensed taxi driver, having held his Licensed London Taxi Badge since 1989. Asher originally launched Sherbet as a traditional taxi business, but over the past three decades he has been able to expand the business into the private transport sector, outdoor media advertising and experiential marketing. Speaking at today’s launch, Asher commented, ‘London’s black taxi industry is in my blood and I am frustrated that it sometimes gets a bad press. The heritage of the London black taxi industry is built upon putting the passenger at the heart of everything we do and offering the best in customer service. With the rise of ride-sharing apps across London, we feel the industry at large has lost sight of this. The service we launch today aims to help the London black taxi industry reclaim its Central London heartland through the offer of an environmental, tech-enabled passenger-focused service. As well as having a unique offer to consumers, Sherbet RIDE will also lead the industry in the training of drivers. All drivers who want to represent the new service will have to sign up the Sherbet charter – meaning they undertake compulsory first aid training and are given preparatory training in the event they are the first responder on the scene of a major incident, such as a terrorist attack. In return for their commitment in Sherbet’s efforts to drive exceptional standards, Sherbet provide drivers with extensive support to help them build their entrepreneurial skills. For example, Sherbet will great a series of webinars and videos that will educate drivers on issues like accountancy, tax, social media and marketing to enable them to start thinking of themselves as self-employed entrepreneurs. This business advice will be accessed via an online portal, an additional innovation highlighting how Sherbet wants to drive the next generation of the London black taxi industry. Asher Moses continues, ‘The London black taxi industry has been under siege for a couple of years and I hope today marks the beginning in bringing back the glory days for our trade. No ride-sharing app can compete with customer service offered by a London black taxi, but technology has fractured the market. The introduction of the ULEZ means that the entire industry has to modernise and we hope the launch of Sherbet RIDE will allow black taxi drivers to steal a march on the competition.